Long-standing Ni teacher Yael has had an established Nia teaching practice in Stroud, Nailsworth and Cheltenham since 2011. She is trained to the highest level (Nia Second Degree Black Belt) and passionately shares Nia through weekly classes and solo/collaborative events/retreats both locally and further afield. Come and join our wonderful community and find out how Nia can positively shape your wellbeing and life! Nia is for everybody, without exclusion! People of all fitness levels, background and ages (15-92) come to my classes! 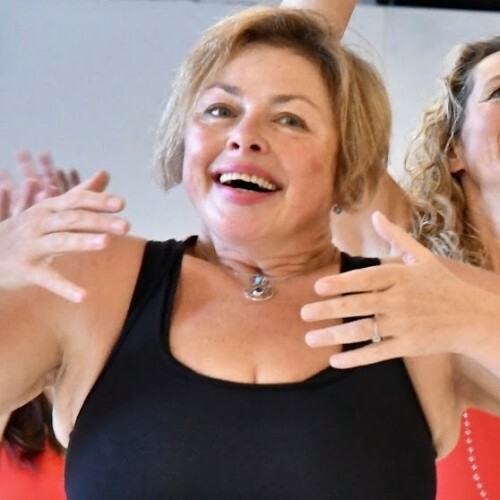 "I am hugely grateful to have found youy and Nia, which has become a rich source of joy and community in my life"
"I highly and deeply recommend Yael's classes - always full of soul, beauty and energy"
"I find SUCH a freedom in your class". "Sheer bliss - absolutely amazing!"